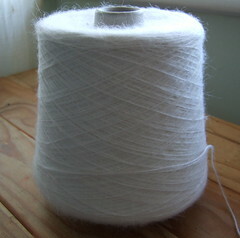 It’s a cone of over 600g of a heavy lace weight yarn that is simply labelled “mohair” and came as part of a mixed mohair pack from yeoman yarns. 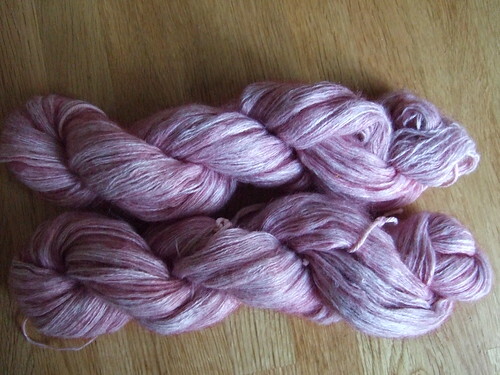 As I am currently into laceweight knitting and crochet, I thought I would have a go at dyeing some of it to make shawls, scarves etc. A bit disappointing, but still a pretty colour. 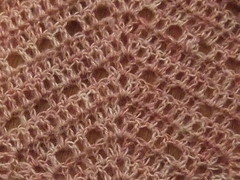 I am using it to crochet a shawl for one of my daughters and will be posting the pattern if it turns out OK.